Originally built in 1927, and now listed on the National Register of Historic Places, the Casa Loma Hotel was housed inside the Max Campbell Building. The hotel was conveniently located at the end of the trolley line that ran from downtown Tulsa to Delaware Avenue on 11th Street — a piece of Tulsa’s Historic Route 66. The train offered travelers in need of accommodations a more affordable alternative to the pricey rooms found in the bustling downtown business corridor. The hotel appears to have been specifically designed for extended occupancy, as it had much larger closets than its contemporaries and included meeting or lounge areas to accommodate traveling salesmen. The building was built during the 1920s Spanish colonial revival period. Its architecture was inspired in part by a similar building in Kansas City, with all the characteristics of the period — light brown brick, tiled roof, terra-cotta ornamentation and shaped parapets. The Casa Loma Hotel consisted of 33 original, rentable rooms located in the upstairs portion of the building, with access only from a grand stairway. 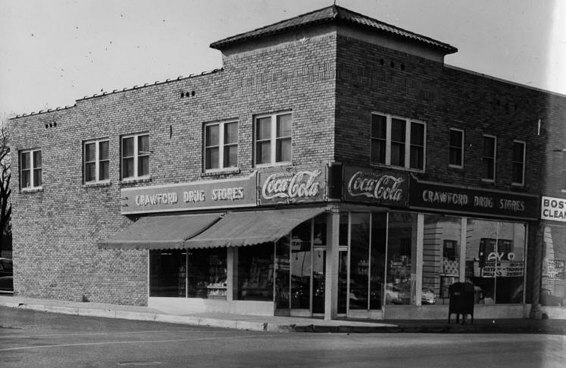 Additionally, residents could enjoy all the comforts of home with the many businesses housed on the hotel’s street level, including a barbershop, beauty shop, Crawford Drug Store, and Safeway grocery store. Consequently, the Max Campbell Building was considered one of Tulsa’s early urban shopping areas. When Group M Investment acquired it, the two-story brick structure was in poor condition, open to the weather in several places where the roof was gone, but there was just enough of the old hotel left to see what it had been — and what it could be again. Group M Investment was convinced that it would be a great project to revitalize the neighborhood, so redevelopment began in the fall of 2009. To the owners, it was important to preserve the architecture and flavor of a timeless building. Having been selected for the 2011 Designer Showcase — a benefit for The Foundation for Tulsa Schools — the hotel retained over 40 local designers who brought their own individual style and vision to the property, decorating each room in a unique theme. The redeveloped Campbell Hotel opened its doors in August 2011. Today, The Campbell Hotel is a luxurious boutique hotel and Tulsa attraction with 26 uniquely themed rooms, perfect for a romantic getaway, a guest room for out-of-town visitors, or your home away from home. To learn more about The Campbell Hotel, please contact the Tulsa Preservation Commission.